For nearly 2,000 years, Christian mystics, martyrs, and sages have documented their search for the divine. Their writings have bestowed boundless wisdom upon subsequent generations. But they have also burdened many spiritual seekers. The sheer volume of available material creates a seemingly insurmountable obstacle. Enter the Upper Room Spiritual Classics series, a collection of authoritative texts on Christian spirituality curated for the everyday reader. Designed to introduce 15 spiritual giants and the range of their works, these volumes are a first-rate resource for beginner and expert alike. Writings of Augustine compiles some of the most profound and moving writings of the 4th-century African Christian who had a vast influence on the Christian church and Western culture. 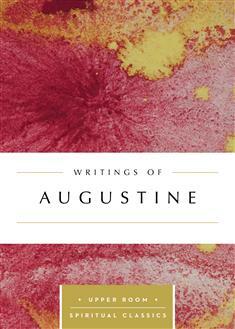 Included are excerpts from Augustine's Confessions and other writings.